Hantec Group is a global provider of specialized financial services that operate with Hantec Markets brand name through established enterprises and subsidiaries in China, Japan, Australia, New Zealand and Europe, while headquarters in Hong Kong since 1990. Through the company grow and expand during the years of operation, the broker received licenses from the local reputable authorities and enhanced their online trading offerings with the purpose to optimize business performance. Due to its worldwide presence and differences between the jurisdictions and their regulations, there are some specific conditions between proposals to the clients with particular residence, hence the clients should carefully check under which regulation they will fall. Therefore, the Hantec Markets provide access to instant execution through Straight to Process model through 16 largest world banks quotes for 50 currency pairs, index, commodity CFDs, bullion and spread betting for UK resident only. The educational support along with continuous customer service provided by the range of free resources, market insights, specialist opinions, online tutorial and are available to every client. The members of Hantec’s Group falls under the variety of regulations and registrations, as the domestic regulatory upon the company establishing requires licensing with the particular authority. 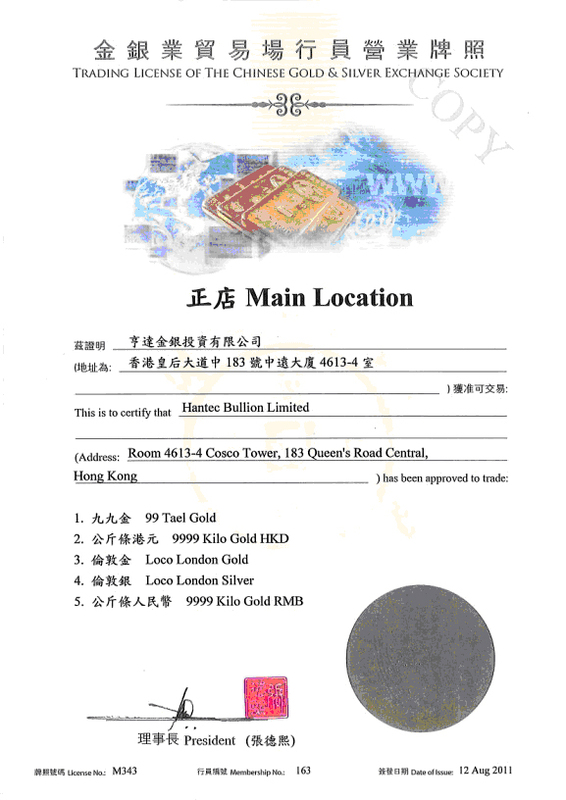 The mother company located in Hong Kong performs its operation with the license from the Chinese Gold and Silver Exchange Society (CGSE), while further obtained the license for Japanese financial services from JFSA. To strengthen its oversea networking the Hantec Group approved Australia businesses under the ASIC regulation along with further move and the maintenance of the office in New Zealand. The UK established branch with the name of Hantec Markets Limited obtained a reputable license from FCA which opened access to European clients. Even though the members are holding licenses of the serious regulators, the Hantec Global operation is registered in Mauritus with Financial Services Commission, which does not provide sharp regulation and serves many customers worldwide. There is a choice of powerful and reliable trading platforms that presents the industry’s cost-effective offerings MetaTrader4, Currenex and Multi-Account Management (MAM). The platforms enable access to the range of instruments, while some differences may occur in asset proposal, its availability and functionality. – The MT4 Platform is the global choice of the majority which requires 1,000$ of minimum deposit to start (for FCA regulated clients) and brings full capacity of developed technology with no restriction for APIs, EAs and access through any device, including Mobile App. – The Currenex platform developed for experienced and professional trader through Classic and Viking versions that is a very comprehensive trading software thus requires higher balance to maintain – 5,000$ for Classic version and 10,000$ for Viking one (for FCA regulated clients). The platforms bringing the possibility to execute and to switch between the parameters with OCO or IFD orders with market depth view. Seamless execution while trading FX and bullion. In addition, there is an opportunity to empower a new way of trading through the innovative AgenaTrader Platform that automates personal trading in few steps. The trader can create personal signals and strategist through synchronization between the MT4 and integrated technology. The platform is free for Hantec Clients, while the regular price is around 800$. The trading tools offering to bring the possibility to use trading signals provided by the company cooperated with Trading Central, which is the industry-leading 3d party provider of trading signals for various assets. Thereof, again the clients from ranged jurisdictions should find out the availability of the tool or another along with the requirements of a particular trading strategy or trading style to perform. A choice of accounts designed to suit trading requirements with the range of benefits according to the trading style. There are two account types while the first is a Standard choice with all costs included into a spread and the second one is a lower spread plus the commission per trading lot. The Premium or VIP accounts are included into offering while enabling through some additional information and providing the tailor-made solutions. On all Hantec platforms the spreads are floating and the execution models are divided but mainly providing STP orders, with the maximum leverage of 1:500. Islamic Trading Account or Swap free Account conditions are offered for all account types, which opens an opportunity for the Middle East investors or those who follow Sharia rules to join online trading. The Hantec Portal provides and enables full access to control trading account with a feature to manage and track performance all in one place. The portal also provides the solutions for partners and management activities. The deposits and withdrawals are simple and secure transaction within the Hantec Markets and 100% automatic, yet varies from the country to another. The most common payment options are enabled and including Bank transfers, cards, e-wallets, etc. Typically there is no commission charges to transfer the funds, however various funding providers may add-on the transaction fees. Overall, the Hantec Markets review has determined the company with a long operation, a number of offices in main financial hubs along with the necessary regulations. Yet, there are some confusions in regards to the offerings, since the different jurisdictions comply with separated proposals of trading conditions, costs and capabilities. Thus, the traders should carefully check under which particular brand they will be operated. Furthermore, the global brand of Hantec falls under the offshore license, which is not very reliable. Apart from that, the general features are among the most competitive ones with STP execution, powerful trading platform capabilities, enhanced technologies, support and a full range of necessary tools for retail or professional traders. Furthermore, the Hantec options might be very interesting to the high-volume and big-size traders, due to the prices and technology solutions.